I noticed that our list of security software tools for Linux was not enough so I figured out that I should add some more. But before anything else, thank you to those who commented the last time and shared their favorite security programs. --I've included some of those that you've mentioned on this new list for others to know about. 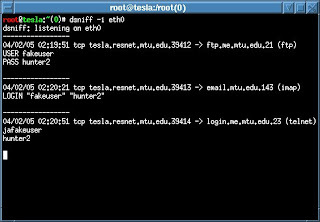 Ettercap is a console-based network sniffer/interceptor/logger that is capable of intercepting traffic on a network segment, capturing passwords, and conducting active eavesdropping against a number of common protocols. Ettercap supports active and passive dissection of many protocols (including ciphered ones) and provides many features for network and host analysis. 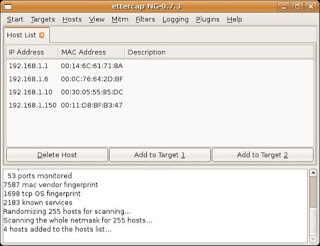 Ettercap also has the ability to actively or passively find other poisoners on the LAN. 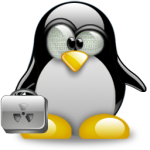 Nikto is a web server scanner that is known to perform comprehensive tests against web servers for multiple items, including over 3500 potentially dangerous files/CGIs, versions on over 900 servers, and version specific problems on over 250 servers. It performs generic and server type specific checks. It also captures and prints any cookies received. 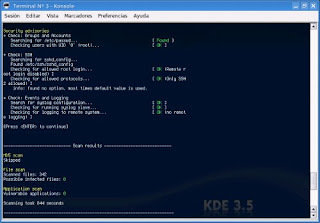 OpenSSH is a Free and Open Source version of the SSH connectivity tools providing encrypted communication sessions over a computer network. It encrypts all traffic (including passwords) to effectively eliminate eavesdropping, connection hijacking, and other attacks. Additionally, OpenSSH provides secure tunneling capabilities and several authentication methods, and supports all SSH protocol versions. 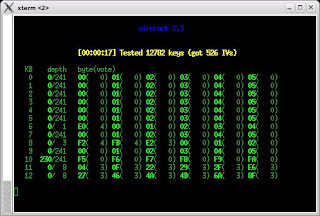 Aircrack-ng is a wireless tool and password cracker. It is a network software suite consisting of a detector, packet sniffer, WEP and WPA/WPA2-PSK cracker and analysis tool for 802.11 wireless LANs. As we said before, we don't encourage unethical hacking and the tool should be used for security purposes only. 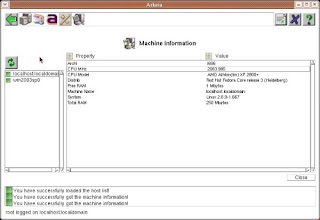 Tripwire is a security and data integrity tool that is useful for monitoring and alerting on specific file change(s) on a range of systems. Used with system files on a regular basis, Tripwire can notify system administrators of corrupted or tampered files, so damage control measures can be taken in a timely manner. Metasploit Framework is an advanced open-source platform for developing, testing, and using exploit code. The extensible model through which payloads, encoders, no-op generators, and exploits can be integrated has made it possible to use the Metasploit Framework as an outlet for cutting-edge exploitation research. It ships with hundreds of exploits, as you can see in their online exploit-building demo. THC (The Hacker's Choice) Hydra uses a dictionary attack to test for weak or simple passwords on one or many remote hosts running a variety of different services. It was designed as a proof-of-concept utility to demonstrate the ease of cracking poorly chosen passwords. It can perform rapid dictionary attacks against more then 30 protocols, including telnet, ftp, http, https, smb, several databases, and much more. Dsniff is suite of powerful network auditing and penetration-testing tools and utilities that includes code to parse many different application protocols and extract interesting information. The information that can be obtained from this sniff application are: usernames and passwords, web pages being visited, contents of email, etc. RainbowCrack is a password hash cracker that makes use of a large-scale time-memory trade-off. It differs from "conventional" brute force crackers in that it uses large pre-computed tables called rainbow tables to reduce the length of time needed to crack a password drastically. rkhunter scans for rootkits, backdoors and possible local exploits. It does this by comparing SHA-1 hashes of important files with known good ones in online database, searching for default directories (of rootkits), wrong permissions, hidden files, suspicious strings in kernel modules, and special tests for Linux and FreeBSD. Hah! 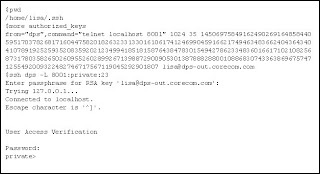 I wonder if its a coincidence, but the dsniff command-line shows the password to be hunter2. E-Cookie to anyone who gets the reference. lol. Are you both trying the same joke as that famous one in bash.org ?